Do you remember the first time you had to file federal income taxes? If you were like me it was a bit overwhelming – so many forms and choices and rules, not to mention the fear of messing up official government papers! This is what flashed through my mind as we were wading through the process of getting everything in line to bring our beloved dog and cat with us to Bangalore. This process can seem complicated and overwhelming at times, but just like those income taxes, it’s not impossible! So take a breath and take heart that many expats successfully made the journey with their fur-babies in tow. *All of the information below is solely based on my personal experience importing one cat and one dog into Bangalore from Texas in August of 2018. The Indian government is known for frequently changing things so please verify the information provided is still accurate and applicable to your situation. 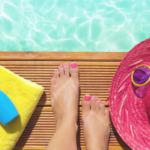 BUDGET – Prices vary greatly from around one hundred US dollars to well into the thousands. As you can guess, the higher the price tag, the less that is required of you. However, it is possible to get here even if you are on a tight budget, so if that’s your case, don’t fret. YOUR PET’S NEEDS – Do you wish your pet to come over on the flight with you or would door to door service be more your style? Some of our little furry friends can be a bit more high maintenance than others. For some a long nap in their crate while flying away from a lot of strangers is a much-appreciated way to travel. For others, the only way they would be able to make the trip without great distress is in the lap of their favorite human. 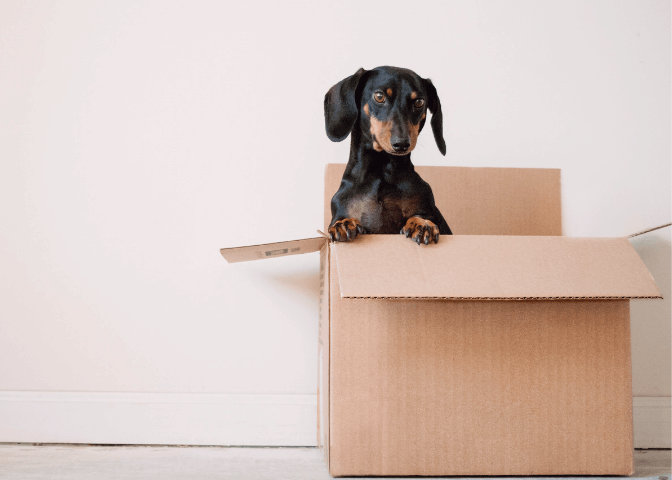 YOUR COMPANY’S WILLINGNESS TO HELP – If possible, I strongly recommend you request full pet relocation in your relocation contract as there are many steps and accompanying fees along the way. The more cost-efficient route includes the export health documents only and, therefore, will involve a lot more legwork on your part. When we made our move in late 2018, there were a few absolutes we had to keep in mind. Only two pets allowed per family, and they can only be dogs and/or cats. All pets must be microchipped before being exported from their country of origin. The owner can only have been in India for less than 180 days in the last two years. If pets are brought to India via cargo, they must arrive within 30 days of the owner. Foreign passport holder owners must be coming into India on an “E”-Employment Visa. Think HR at a new job, the DMV (Department of Motor Vehicles), or registering your child at a new school. If you’ve done any of these tasks, you are familiar with what a massive amount of paperwork looks like… or at least you thought you did. Welcome to the export and import of pets and the giant stack of documents needed to be successful! If you will be doing most of the process on your own, plan to submit and keep up with around 20 different letters and forms that will be needed to get through customs and animal quarantine once you land in Bangalore. This is where finding a good pet relocator that is either in India or has done relocations here before becomes essential. 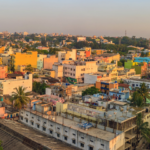 Rules do frequently change, and some forms are more easily obtained if you have someone familiar with it all on the ground in Bangalore. You will find that the Indian government isn’t the only ones who can make your furry friend’s move to Bangalore a bit complicated. Different airlines have different policies in place. Some airlines do not allow pets of any kind in the cabin, and some won’t even transport them at all. Some allow them, but won’t allow you to land in Bangalore with your pets. Also keep in mind that almost every airline only allow dogs in cabin and will require you to have a letter from a licensed counselor stating your pet is an emotional support animal. If you don’t already have one of these letters, never fear. For around $100 USD you can get one from an online counselor that will do the trick. Another complication is that some airlines have restrictions on flying animals (especially short-nosed dog breeds) in cargo in hot or cold weather. One last note, and a possible deal breaker for some, every airline I contacted only allowed emotional support animals to fly in economy class. Your best bet is to start calling airlines well in advance to speak with someone in their special services department. They will be able to tell you about any rules or restrictions they have, and any additional costs associated with your pet’s travel. *My personal recommendation for flying with pets is Qatar Airways. The fees were extremely reasonable, and they were amazing with both our cat, who flew in cargo, and our dog, who flew in the cabin with us. They even moved our seats around to ensure our little guy had his own spot to relax in for the long flight. 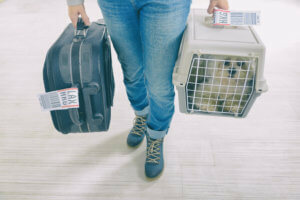 International pet relocation is a tricky business, but not impossible. The main things to keep in mind are starting the process early, staying organized, and finding someone you are comfortable with to help you. So take a breath, pick up the phone, and remember just how much you love that precious furry face! Before you know it, you will be walking your dog among the palm tree-lined streets! Does India require animals to be quarantined upon arrival? If my pet will be with me in the cabin, how can he relieve himself? Usually, only younger animals can’t hold it until you land. However, being prepared for anything is smart! I highly recommend purchasing doggie diapers, pee pads, and waste baggies for the flight. 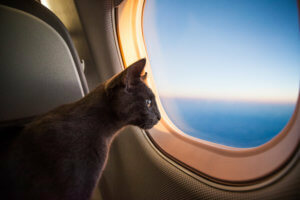 When should I feed my pet before the flight? My vet suggested feeding pets around 4-5 hours before take off so they aren’t flying on a full stomach. However, it is important that Fido not get dehydrated, so access to water is important. If flying in a cabin a collapsible bowl or dog-friendly water bottle is best. If flying in a crate, you can purchase an attachable food and water dish. Check out The Vine article, Owning A Pet In Bangalore for info about your pet’s new life in Bangalore! Erin is an American expat living in Bangalore with her husband, Martin, her daughter, Averie, and the family pets: Lou and Delilah. 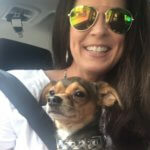 If Lou, a chiweenie dog, could talk, he would tell you that Erin is his person! Erin hails from the great state of Texas. She never imagined leaving there but could not resist the adventure of living as an expat in India. She misses the wide open spaces, American football, and the way people say “ya’ll” back home. 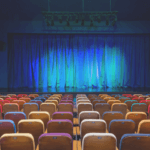 Professionally, she has a combined 15 years of teaching experience as an elementary school teacher, a music teacher, and a home school teacher. Erin is excited to share the lessons learned from her pet relocation experience…so that others can profit from the knowledge she gained!